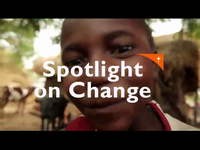 Many children start their formal education at a disadvantage. Children under the age of five do not get the necessary stimulation for the development of their cognitive, motor and social skills. These skills are essential for success in primary school. There is little access to pre-school, and many parents are unsure of their role in their children's development. With a primary focus on survival, many families are unable to prioritize education, and are unaware of its value. 24% of children frequently do not attend school, and an additional 24% are delayed, either because they start late or they have to repeat grades. Students often lack motivation, and there is little by way of resources or training for teachers. Health issues are an ever present concern in Koari. 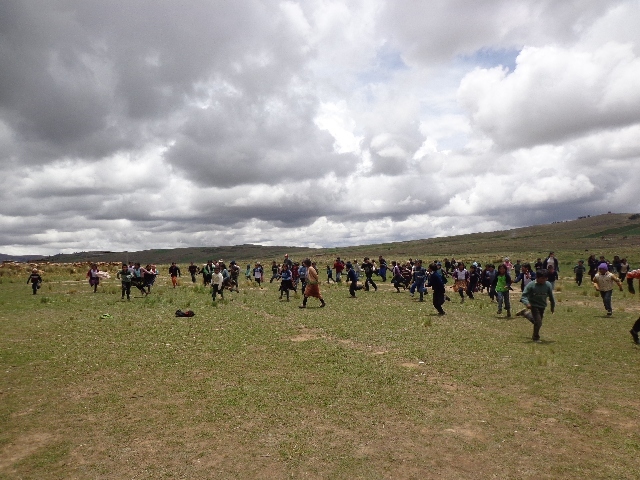 69% of young children in this community suffer from acute respiratory illnesses. Diarrhea is also very common. 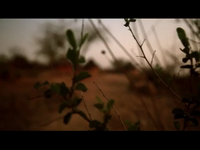 Half of the families do not have potable water. Only one third have latrines, and many families lack instruction in hygiene practices that can safeguard health. Malnutrition is the fundamental challenge to children's health. With a diet heavy in carbohydrates from potatoes, grains, and beans, 79% of children under five are chronically malnourished. Additionally, many families are unable to provide sufficient food for all members. Children weakened by malnutrition succumb faster to diarrheal and respiratory illnesses, which is a life-threatening combination for young children. 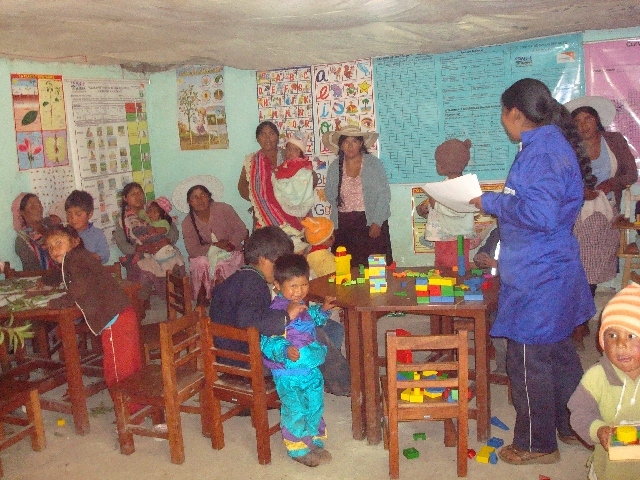 Mothers in the community lack instruction and resources for managing these illnesses. Many families cannot access healthcare and rely on traditional healers. Yield from agriculture is very low, which means family income and food supply is also low. Farmers lack the knowledge they need to improve their production methods. Crops are often infected with pests or diseases, and farmers do not know how to respond to them. There is little water for irrigation. 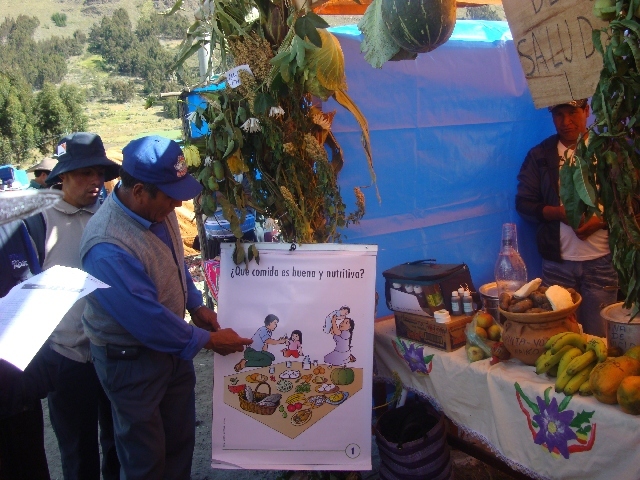 Farmers in the community suffer from a lack of organization and training in how to market their products. This means that individual families cannot enjoy economies of scale, such as pooling resources to purchase agricultural supplies and equipment, or negotiating for higher prices. There is also a need for stronger leadership and more inclusive decision-making strategies. 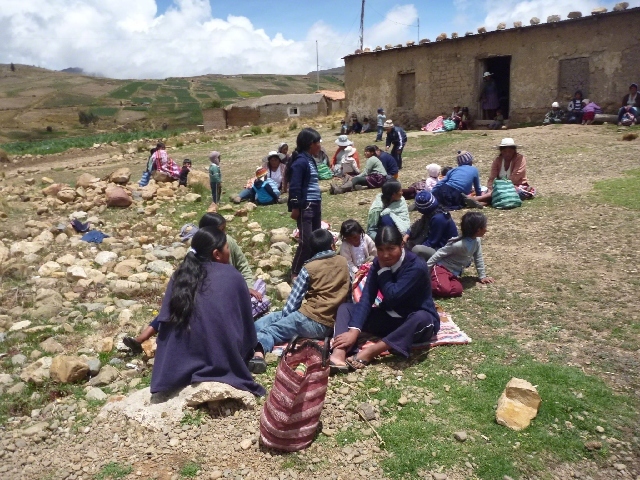 Up in the Sub-Andean mountains, in an area called the Upper Valley, World Vision is working with children and families in the Koari community. The area is dotted with lagoons and impressive natural dams. It is cold, and the temperatures grow lower with increased elevation in the mountains. Families live in traditional houses made of adobe walls, thatch roofs, and mud floors. Financial difficulties are common, with only 1% of families managing to meet their basic needs. Work is mainly in agriculture, and 93% of families produce potatoes. Not surprisingly, the local diet is based on potatoes as well, along with peas, beans, and grains like oats, barley and wheat in smaller quantities. This mostly-carbohydrate diet leaves 79% of children under the age of five chronically malnourished. Families are mostly indigenous Quechua, descendants of the Inca Empire. Half do not have access to safe water and very few have latrines. 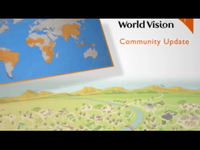 Diarrheal diseases and respiratory infections are common in the community. Train community volunteers in early stimulation, and support them in managing the development centres. Teach parents stimulation techniques to support children at home. Train teachers in new methodologies for teaching language and mathematics. Establish school reinforcement programs to help children with learning difficulties, and those who are struggling with core subjects. Mobilize the community to manage their education resources and establish councils that will be responsible for management of these resources. Teach mothers about nutrition, including how to utilize locally available food and how to establish good hygiene and sanitation practices at home. 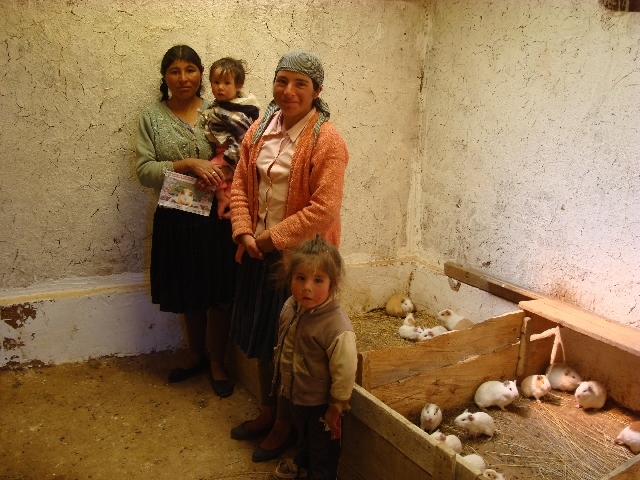 Support families to grow their own vegetables or raise small animals to strengthen their diet. Train parents and children to prevent and manage common diarrheal and respiratory illnesses. Select and train community health promoters who will monitor children's health and nutrition status, and support families as they adopt new home practices. Construct water systems and latrines in partnership with local government and families. Provide supplementary micronutrients and food to children as needed. Train farmers in new agricultural techniques, including organic agriculture and crop diversification. Develop agricultural products for sale. Facilitate local participation in agricultural fairs, and encourage training to help market products.